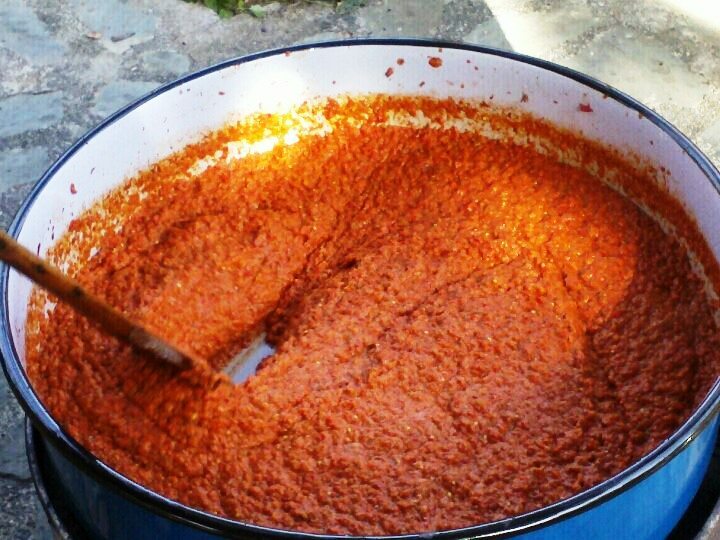 Ajvar is the chief obsession of every Macedonian family. 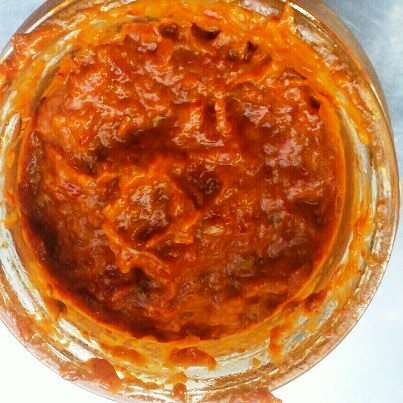 Making tasty ajvar that tempts the palate and, above all, makes neighbours go green with envy, is a real challenge. Moreover, making ajvar is a true pleasure and fun for the whole family. 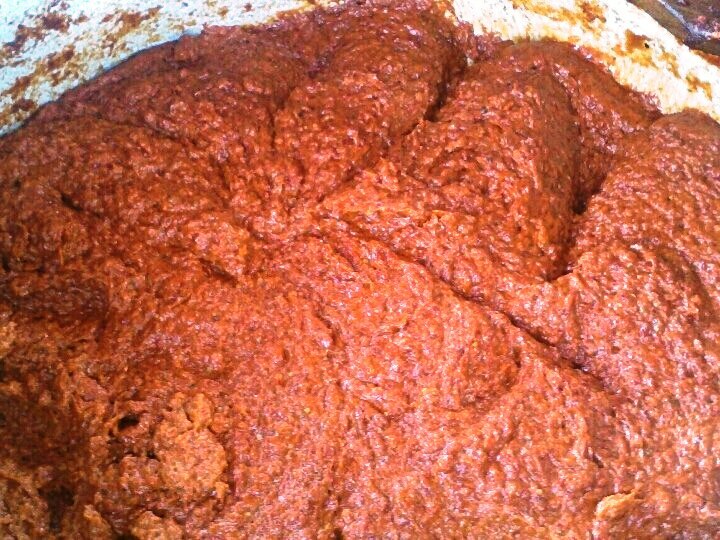 There is no other known occasion that brings modern families together as ajvar making. A typical day goes like this: the father roasts the peppers, the mother makes sure the children peel them right and the granny is there to talk about the good old days when everything tasted better. 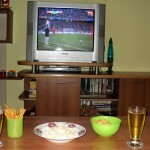 Then neighbours start joining in with salad, rakija and the usual banter. 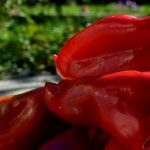 Men, women, young, old, in good health or not, they all lend a hand in roasting, peeling and pulverizing the peppers, everyone eagerly waiting to taste the new ajvar. 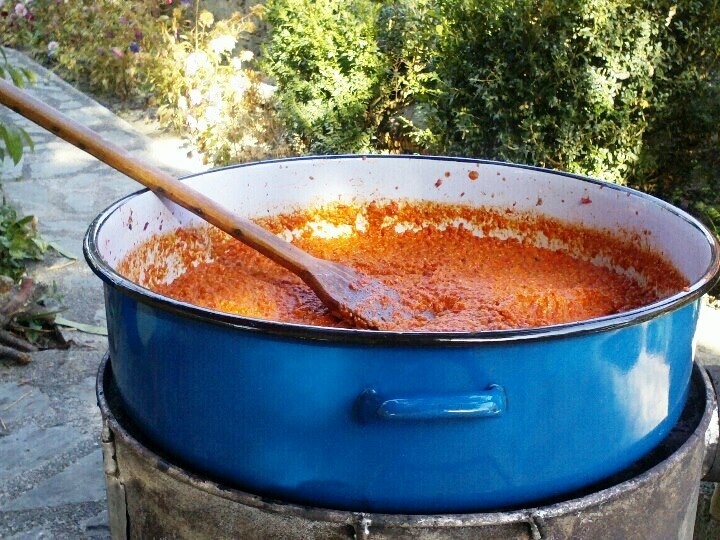 Not so long ago, before a law was passed that prohibits making ajvar in public places, it was a very important social event that helped promote good relations among neighbours. In those days the whole neighbourhood roasted peppers on just five stoves taking turns in roasting and peeling. 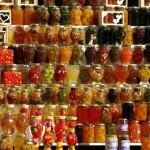 People lended wood to each other, exchanged recipes, secret ingredients, tricks of the trade and jars of fresh ajvar. There were ajvar fanatics who would gladly offer their help round every stove for weeks, happily receiving a jar of hot ajvar as a reward. Little children ran about holding slices of bread in their hands asking each family to donate some of the red “treasure” for them to taste. 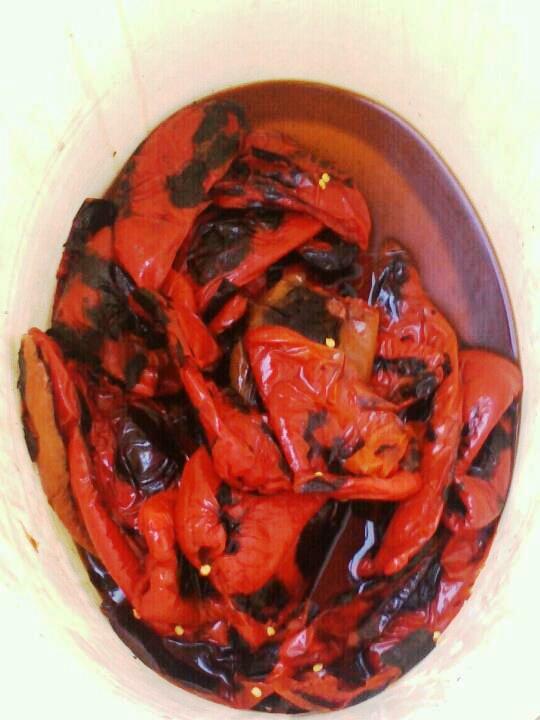 Ajvar has a long tradition in the region. 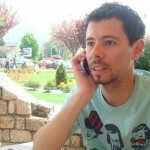 It is one of the oldest Balkan recepies and legend says it was a regular dish of the greatest minds Plato and Aristoteles. More than a decade ago, members of a foreign mission to our country were amazed at the importance of this phenomenon and conducted a thorough research into the nutrition values and benefits of consuming ayvar. 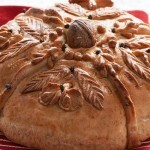 Although the results were far from positive, it did not mar its reputation as the best winter food for every household. The process of preparation is long so, before you begin, you need to organize things and people so that they all know what to do. First, wash the peppers, wipe them dry, cut the handles and take out the seeds. After they are well roasted put them in nylon bags to soften so they can be peeled more easily. Wash the eggplants, wipe them dry, cut off the handles, roast them well and also put them in nylon bags. They all need to rest for at least 2-3 hours. Peeling is the hardest part of the process because you need to remove all seeds from the peppers. Pulverize the peppers and eggplants in a meat grinder. Put ½ l of oil in a large pot, add the mixture of peppers and eggplants, than add another ½ l of vegetable oil. Ayvar is fried on a wooden stove. 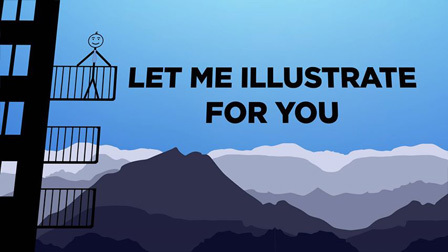 You need to stir constantly because it might easily burn on the bottom. Gradually add the rest of the oil and salt. It takes 2 or 3 hours of frying and constant stirring to cook the ayvar. Heat the jars in an oven at 100˚C. When the ayvar is ready do not let it cool, but immediately fill the jars, add a little hot oil on top and make sure the lids close well. Wrap each jar in paper and then cover all of them with a cloth or a blanket, because they need to be protected from all sides. Let them rest for 24 hours and then it is finally ready.